Security Memetics: Congratulations, Your Identity May Already Be Stolen! Congratulations, Your Identity May Already Be Stolen! 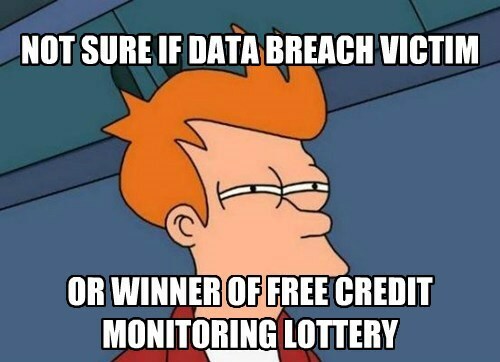 One year of free credit monitoring seems to be almost an automatic response to data breaches now, maybe the notification letters should be framed around telling the victims the good news.